Welcome to Laguna Oaks! 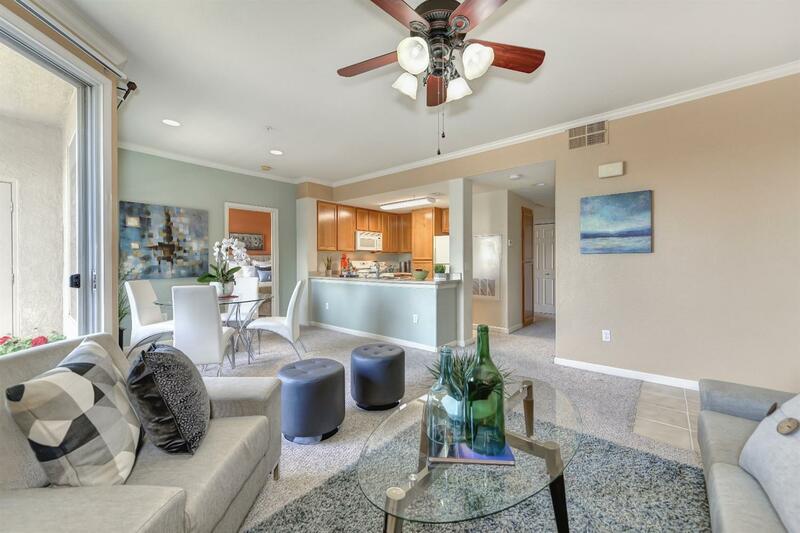 This Modern and Contemporary Move-In Ready Second Story Condo Offers an Open Floor Plan with Two Large Bedrooms and Two Baths. Each Bedroom is Located on Opposite Side of the Unit and Both are Bright and Airy. It's Kitchen Gives You Ample Space for the Family that Loves Cooking and Baking Their Favorite Meals. The Fireplace is Perfect for a Cozy Evening at Home. Many custom finishes like crown molding and custom paint. This Unit has an Indoor Laundry Area. Enjoy being Settled Behind the Gates of This Lovely Community with your Personal Single Car Garage, Pool and Spa, Recreation Room, Clubhouse, Exercise Room and Playground for the little ones. Close to Shopping, Schools, Fwy and Public Transportation.